Information gathered prior to 5 p.m. on June 30, 2018. Level 4: Monitoring response and recovery needs for 416 Fire and other state incidents. The State EOC transitioned to Level II operations in support of the Spring Fire and 416 Fire at 8 a.m.
State of Colorado Verbal Declaration of Emergency: June 27, 2018 at 6:50 p.m.
Costilla County Declaration of Emergency: June 27, 2018 at 10:03 p.m.
Fire Management Assistance Grant (FMAG) approved on June 28, 2018. Resource Mobilization Fund: Pre-authorized on June 27, 2018 at 5:20 p.m. 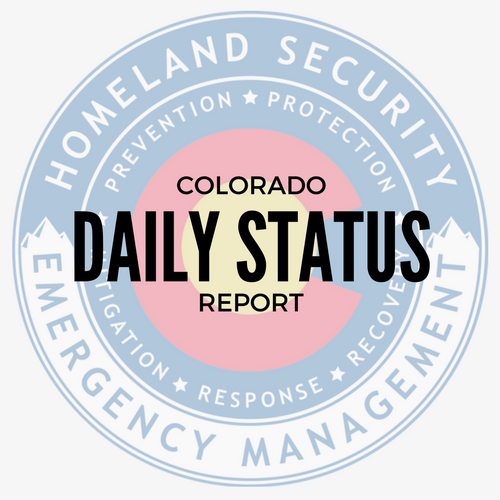 Emergency Fire Fund (EFF): Approved June 27, 2018 at 5:45 p.m.
DHSEM staff monitor the Spring Fire located in Costilla County. 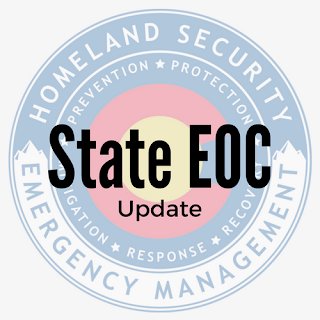 The Colorado State Emergency Operations Center (SEOC) remains at Level IV activation. 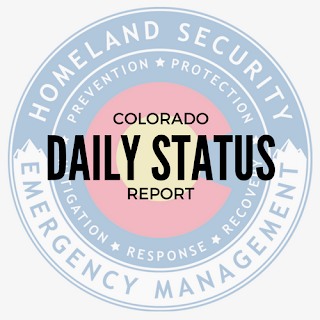 The Colorado Current Wildfire Map has been updated with an approximate fire location and shelter information. The map will be updated as new information is received. Level 2: Monitoring and supporting multiple incidents across the state. Mt. Evans road closed through Thursday for paving operations. Level 4: Monitoring response and recovery needs for the 416 Fire and other incidents in the state. US 550 is closed north of Durango and south of Silverton is open from 8 a.m. to 8 p.m. each day. Level 2: Supporting response and recovery for multiple fires across the state. Link to full report: www.bitly.com/COStatus060718. Link to full report: www.bitly.com/COStatus060518.